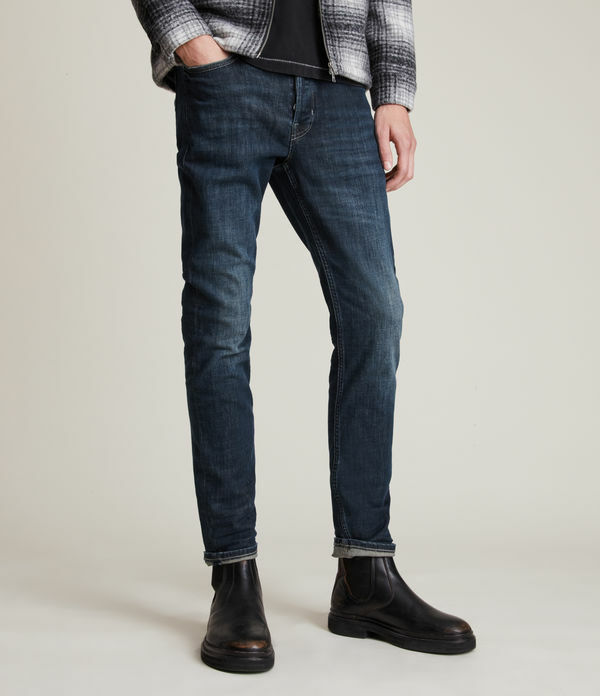 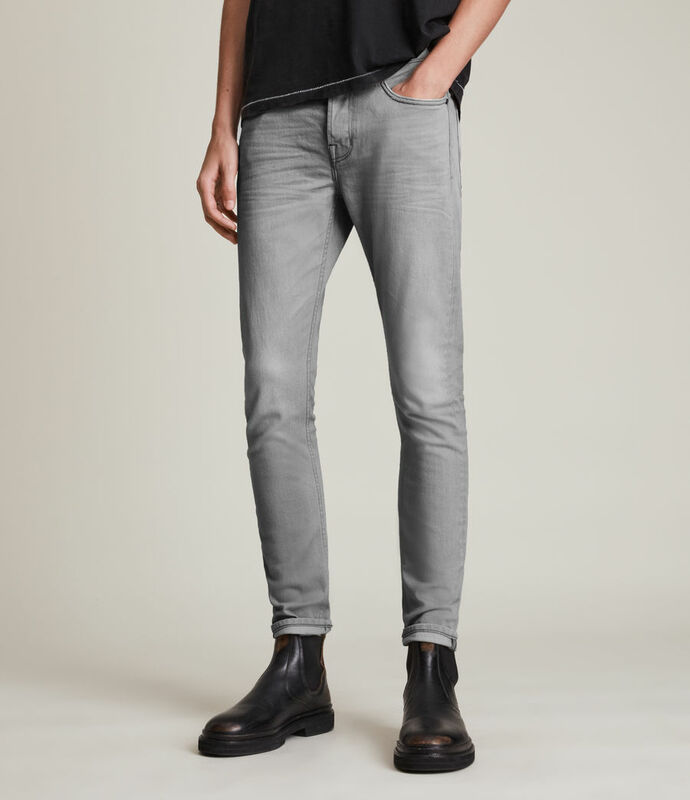 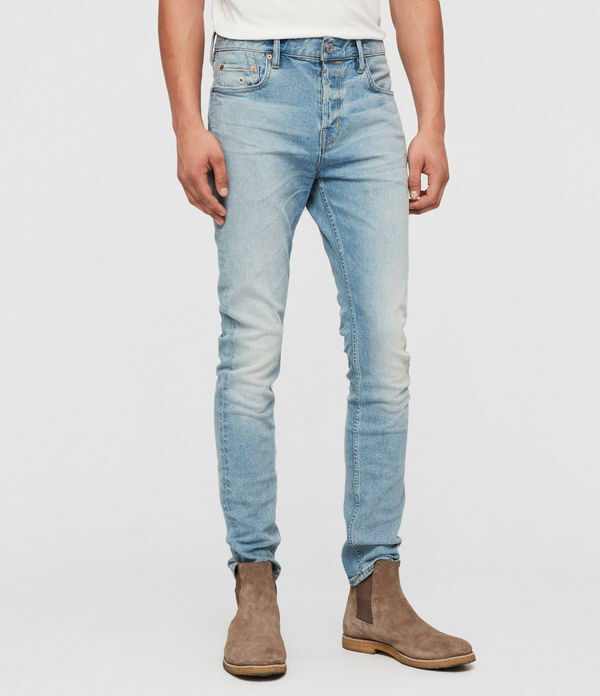 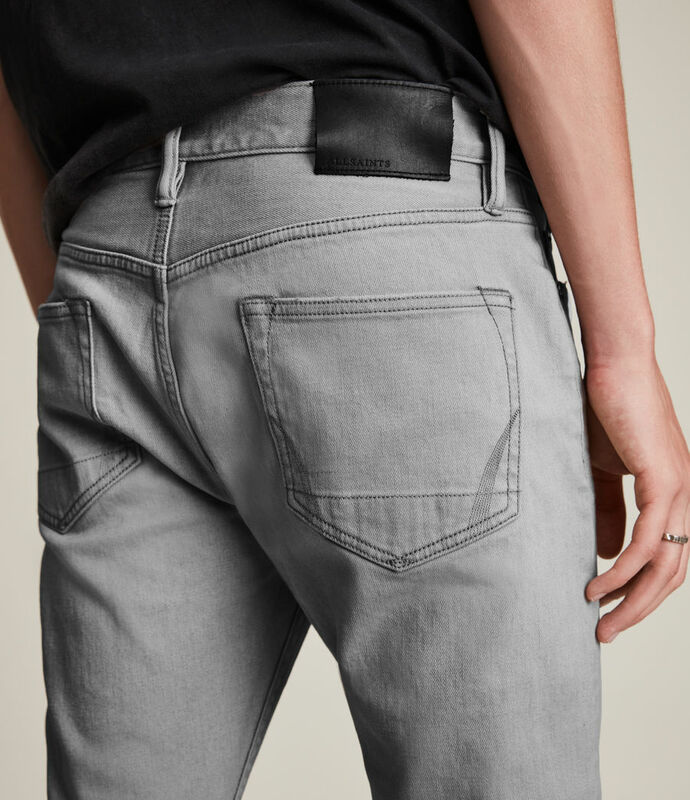 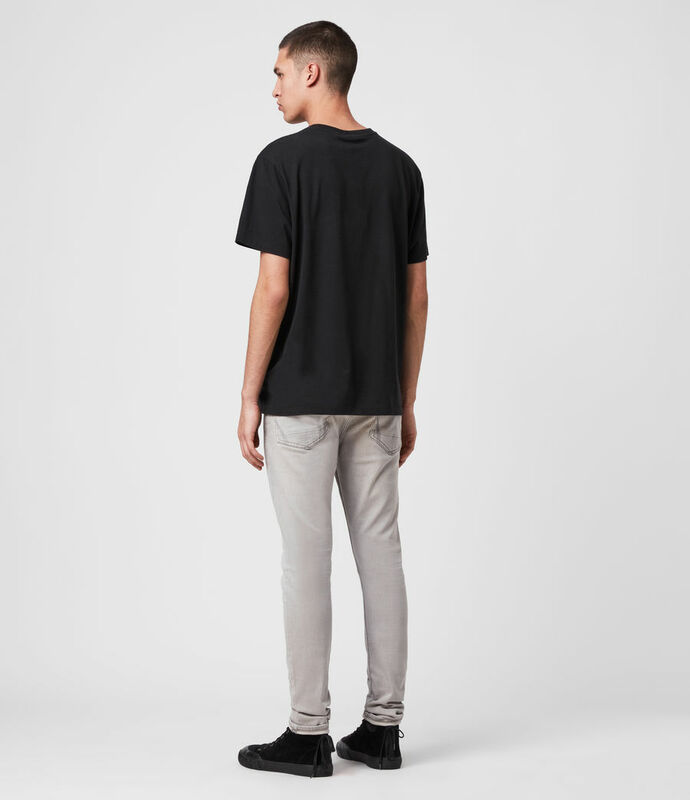 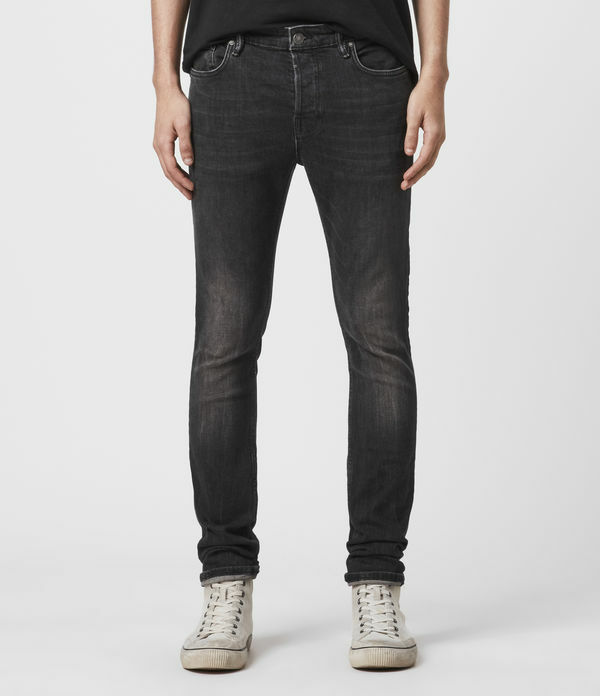 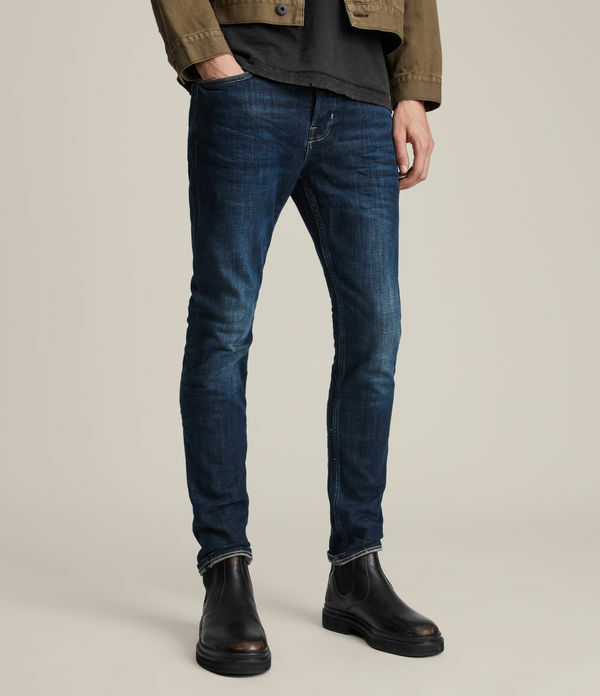 The Cigarette is our standard skinny fit jeans with a tapered ankle for contemporary styling. 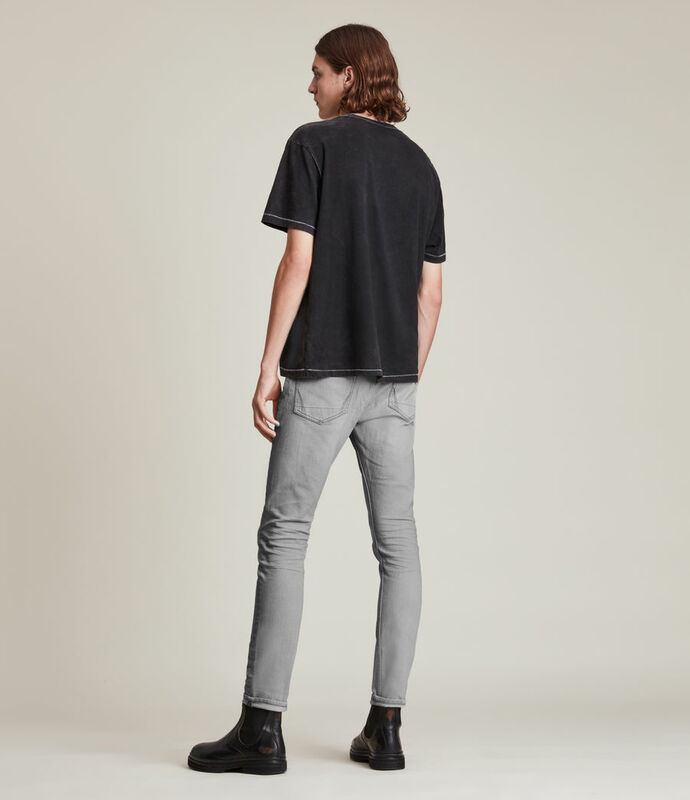 These jeans are made from a washed light grey denim accented with copper rivets, delivered unpressed for a relaxed and creased finished. 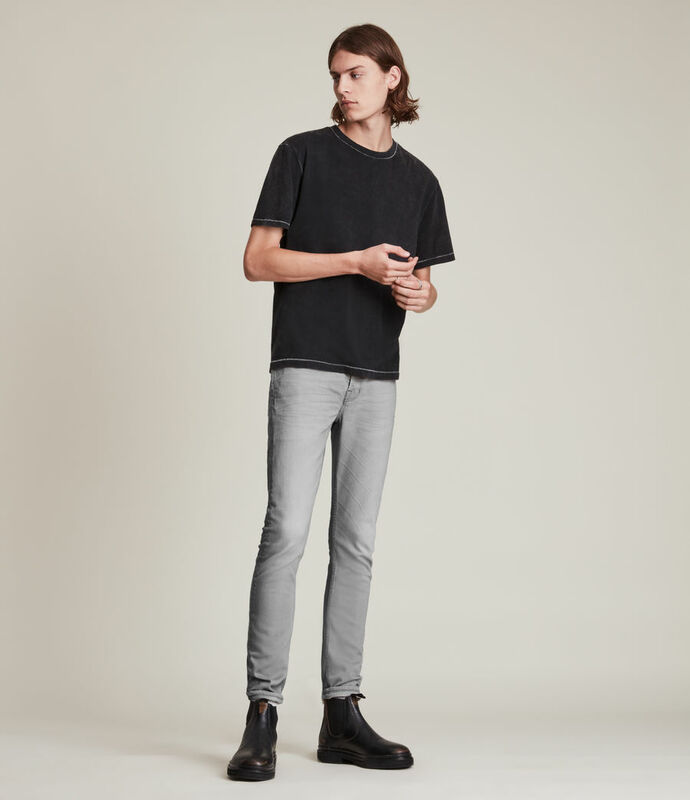 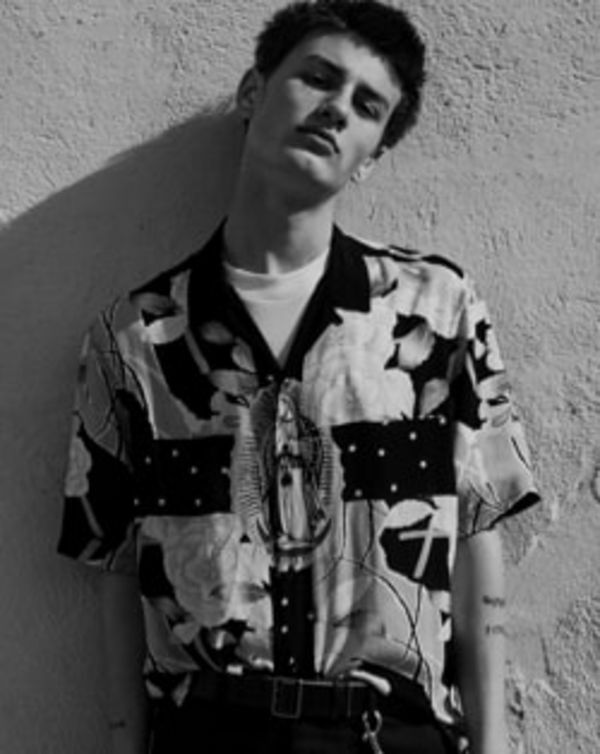 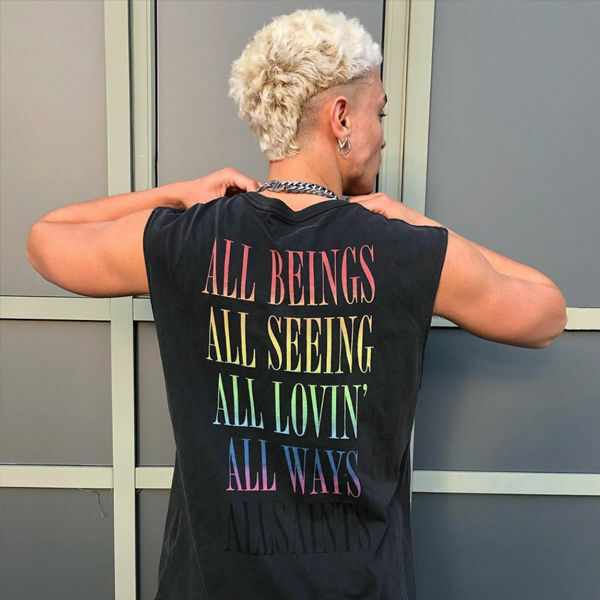 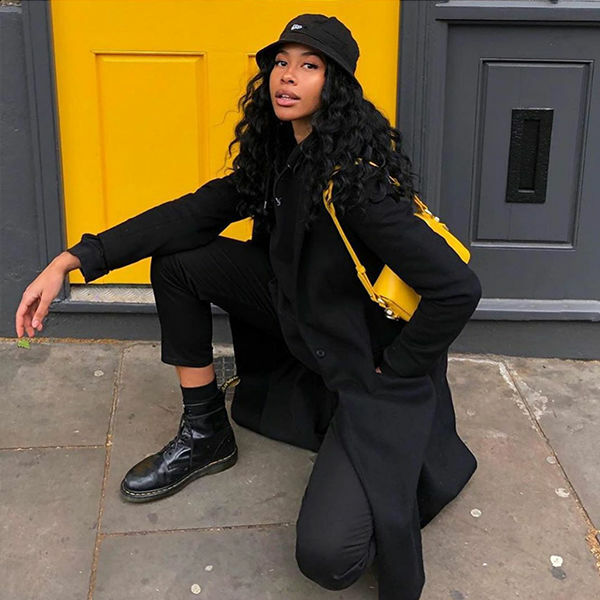 Model is 6'1"/185cm and is wearing size 30.